Daniel Barraza, was very helpful and explained everything from the start till the end ! I couldn't be happier to recommend his services! All my questions where answered in detail! My Home buying experience was 110% on point! Thank you! Daniel did an outstanding job as a realtor finding us a house in just a few days. His very patient finding the house that we like. He’d done his job above and beyond our expectations. Kudos to him and his staff. I would recommend him to all my friends and relatives. Daniel did a great job. Daniel and the entire Barraza Team were amazing throughout out the entire process! They responded quickly and provided excellent service to me and my family. My house sold within 24 hours! Daniel and his team are action-oriented, and they don't waste a minute of time. Daniel knew just what my house needed and didn't need in order to sell. He met with me the first day, and brought the comps and necessary paperwork with him. Literally, before I knew it, the photographer had done his part, and the house was listed. I had multiple offers the next morning. Daniel worked his negotiation skills, and with barely lifting a finger, my house was sold. Daniel is personable and smart, and his team is on the ball. Hiring Daniel and the Barraza team will be a decision you won't regret! An excellent experience, Daniel Barraza and his team were very understanding and patient and went out their way to accommodate our schedule as much as possible, I couldn't of done it without Daniel Barraza and Modesto and the rest of Daniels team. They showed consistent diligence, patience, knowledge, and great service. Thank you Daniel and your team! Daniel and his team have always given us A+ service. I have always and will continue to recommend him to friends and family. Going above and beyond is an understatement when talking about the Barraza team. From the frontline to the back end, every angle is covered with the same service Daniel provides. Keeps it simple, and is a master at negotiating. There's a reason why many friends and family have gone through him, and have nothing but good things to say about Daniel. If you are looking for a honest, respectable, hard working realtor, look no further.  Barraza team will have you covered and make your house shopping/selling experience extremely comfortable and put you and your family at ease. Daniel Barraza and his staff did a wonderful job on helping us with the purchase of our new home in Arizona. We found a home on Zillow that we were interested in purchasing, most all of the work was done over the phone and via emails as we are from Washington State. I highly recommend Daniel, Modesto and the rest of the team, they are very aggressive in getting the job done. We are grateful for all the work they put into making this happen for us. Daniel is an amazing realtor! He was recommended to me by a mutual friend and did not disappoint. I live in California and I had a rental home in Phoenix. The tenant had to move out and I was no longer interested in being landlady. I spoke to Daniel and explained the sitatuon to him, he assured me he would be able to help me and make is as easy as possible even with me being out of state (SPOILER ALERT: he did). He was very honest with me from the beginning about the value of the house, he gave me two options, all of which I was very grateful for. The selling process was a breeze thanks to him and his team! His team was very helpful, quick and responsive. Looking back at my experience with realtors, I've found that most are self-serving. Amidst the process of finding a home, I always got the feeling that they were showing me what they liked and that they were looking to make as much as possible from me. And because of this, I always felt that I needed to have my guard up with them. And I was the same way with Daniel Barraza. I really didn't expect him to listen to what I wanted and to be transparent about his dealings with me. But, he was...and he did. He showed me homes in the areas that I preferred, never pressured me into anything, and was always willing to listen and consider my feelings and opinions. He was also very upfront with all the fees and costs, and even his commission, associated with the transaction. After working with Daniel, I came to realize that he's not really a sales agent (and that's a compliment) - because he's more of a facilitator. He's not out to "sell" you anything. He's just out to help you with either the sale or purchase of your home...and he does it by being upfront, honest, and friendly, and by putting you first. Daniel Barraza is the different kind of realtor...the kind that possesses moral standards and actually incorporates them into the way he deals with others. I highly recommend Daniel Barraza for any of your real estate needs. I couldn't place my trust in anyone else with such an important investment.
" To serve the community with integrity, honesty and respect, one client at a time, first-class service every time. " Lizy Hoeffer, a senior loan officer with Guild Mortgage — one of the largest independent mortgage lenders in the United States — is the No. 1 female-led mortgage team in Arizona for the second year in a row, according to data recently released by the Scotsman Guide’s Top Originators 2016. 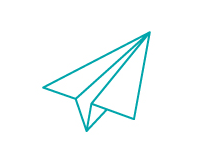 The Scotsman Guide is a leading resource for mortgage originators and a publisher of prestigious lists of America’s top-producing mortgage brokers, originators and bankers. Peter Torneanu is perhaps the definition of a self-made businessman. Having come to America from Romania in 1981, Peter found himself in Phoenix, Arizona in 1986 where he went on to attend Arizona State University. Later, he began a journey through the home finance industry via various mortgage companies that totaled in over 200 Million dollars in production as a loan officer. Peter teamed with Raphael Bangiyev and began the concept for The Loan Doctors Team in 2007. Arthur Shalomov was later brought on in 2009 forming the third prong of the trident that would lead the success of The Loan Doctors Team. Peter and The Loan Doctors Team paired with All Western Mortgage and have since become a top producing branch within the parent company.Mr. Torneanu credits much of the branch’s success to the eclectic team atmosphere and self-designed systems, which he personally oversaw the production of for over a year.